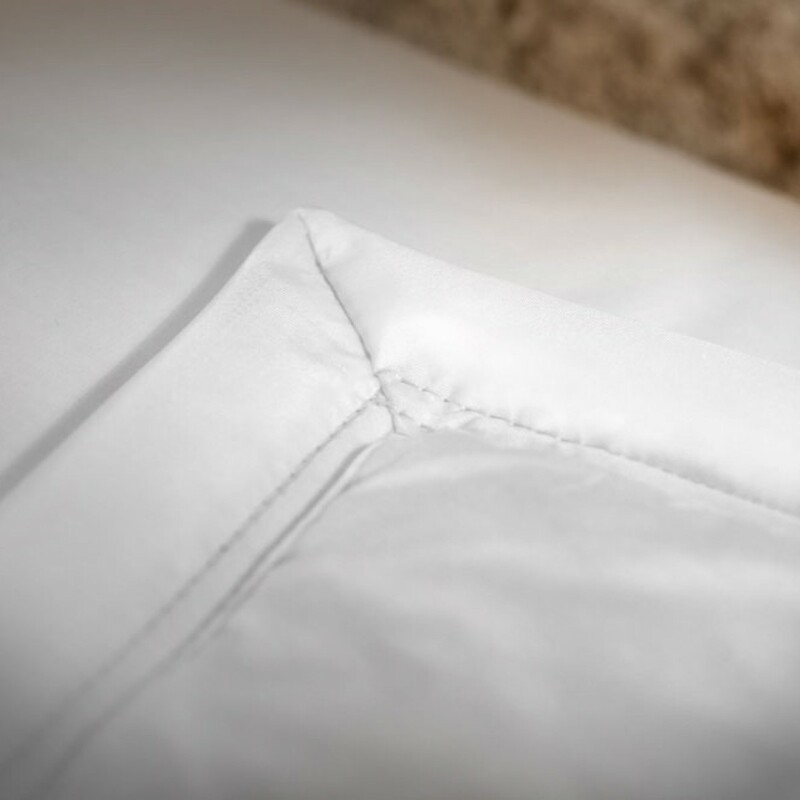 Discover a modernized traditional blanket for a soft and aerial sleep! Made from new duck down, this lightweight blanket offers an enveloping softness in any season. Light and thin, the Serenissime® blanket is inspired by the traditional blanket, brought up to date. The Serenissime® cover is made from a new duck down, using an exclusive Italian manufacturing process for Dumas Paris. 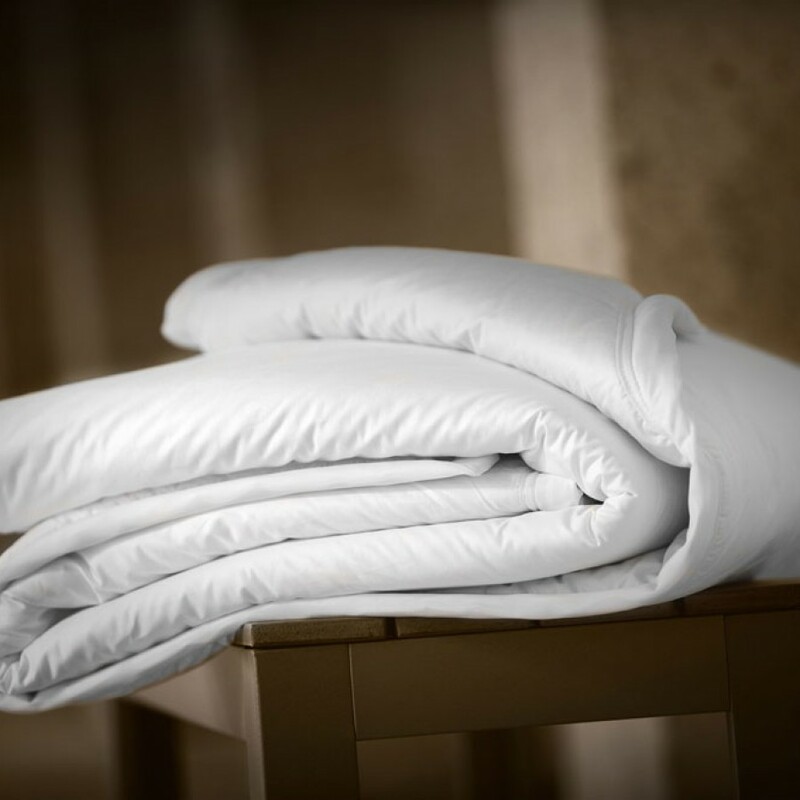 Extremely lightweight, the duck-down has thermo-regulating properties that offer an enveloping softness in any season. Composition The filling of this blanket is a layer of new duck down 90%, 10% polyester - 80g / m². This layer of down is wrapped in a white cotton satin, white bias finish.Made in France in our Burgundy workshops. Packaging The duvet is delivered in an elegant dark blue canvas bag signed by Dumas Paris. This bag has a zipper and two handles that make it a reusable bag, convenient for storing your blanket when it is not used. Tailor-made and embroidery Available in standard French sizes, the Sérénissime blanket can be tailor-made and personalized with an embroidery on demand. The manufacturing time for special dimensions is 10 days. Special sizes and personnalised blankets are not taken back or exchanged. Delivery and return The Serenissime blanket and all Dumas Paris products are made to order in our workshops based in Tonnerre, Burgundy. For a standard size, delivery times are 5 working days, at home or in relay points. If the product does not meet your expectations, it can be returned for an exchange or a refund within a maximum of 14 days from the date of receipt. Tailor-made or embroidered products can not be exchanged or refunded. Cleaning proccess This blanket is machine washable, with your usual laundry. Select the delicate laundry program at 40 ° C or its equivalent. The use of chlorine is prohibited. The Sérénisisme® blanket is a product of Haute Literie® Dumas Paris Dumas Paris' Haute Literie® equips 5* hotels and palaces around the world Through this label of excellence, Dumas Paris has been perpetuating French know-how for five generations.